Hi Everyone! I have been so busy, I nearly didn't get time to put this up for you guys! Below are a few hair and makeup inspirations I have done for the wedding season. 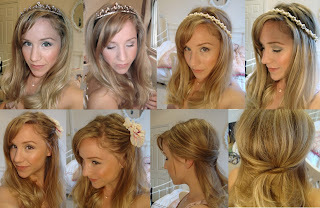 I am going to do some more wedding tutorials next week once I have time again, so watch this space! Here are two different hair tutorials for you as well!